MAXX-ON provides High Quality, Weather proof and Light Weight ABS Plastic portable speaker. 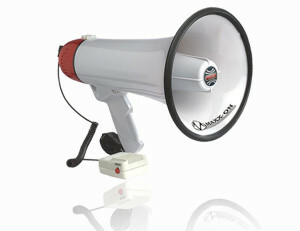 It has High SPL, Clear Sound, Precision-Wound Voice Coil, and comes with metal bracket Stand. 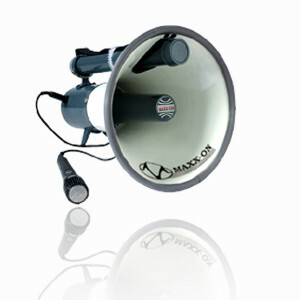 MAXX-ON PROVIDES Shoulder slung Megaphones ideal for fire fighting, crowd control, sports activity, field publicity, rescue operation, construction site, film shooting, electioneering, publicity, etc.